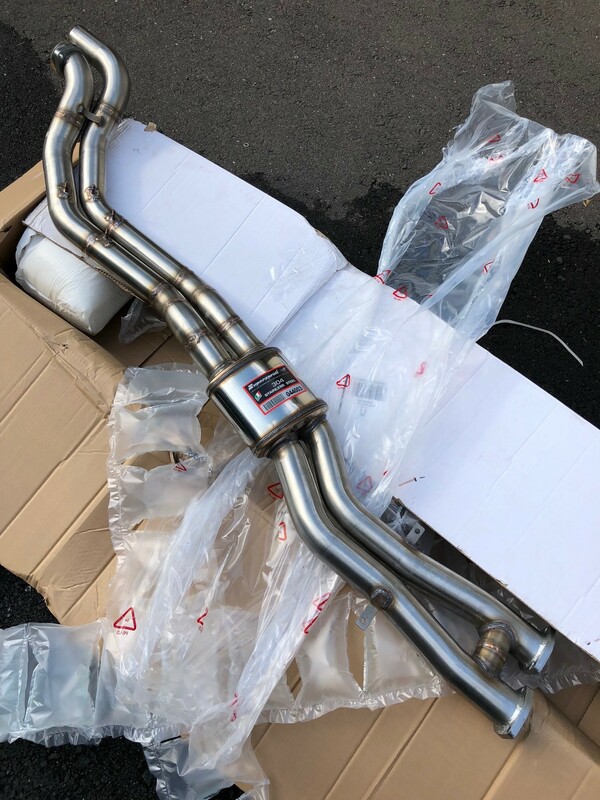 This Group-Buy is for the brand new Supersprint Twin-Piped Oversized Section 2 which was designed to compliment the V1 Stepped Header system. *For shipping to Canada, please add $10. *Details on quantity available, timeline, how to order, ect down below, right before the pictures. It's been a while since I posted on the forum board. 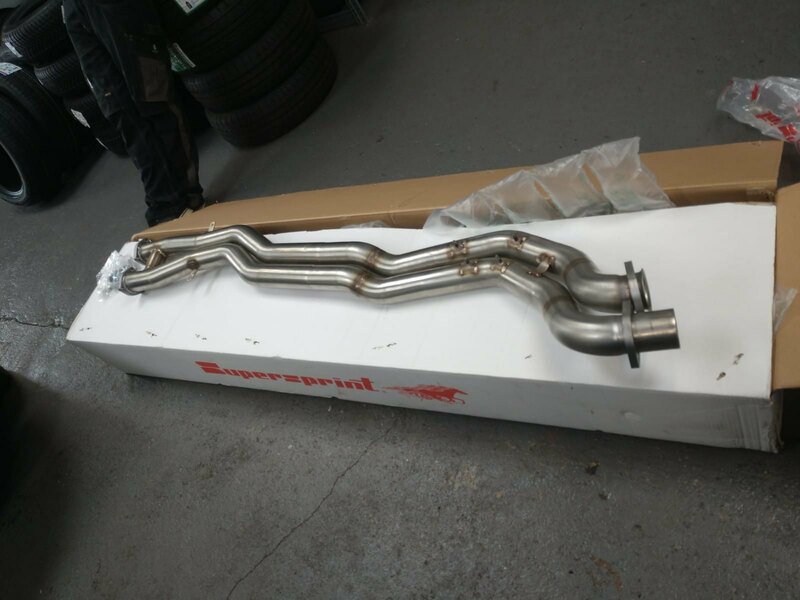 Here at Supersprint in Italy we have been quite busy in building a few exhausts for the E46 M3, in the last months; our US customers may be well aware of this. We confirm, after all these years Supersprint still loves the M3 and the Z4M; we really want to do our best efforts for this car. 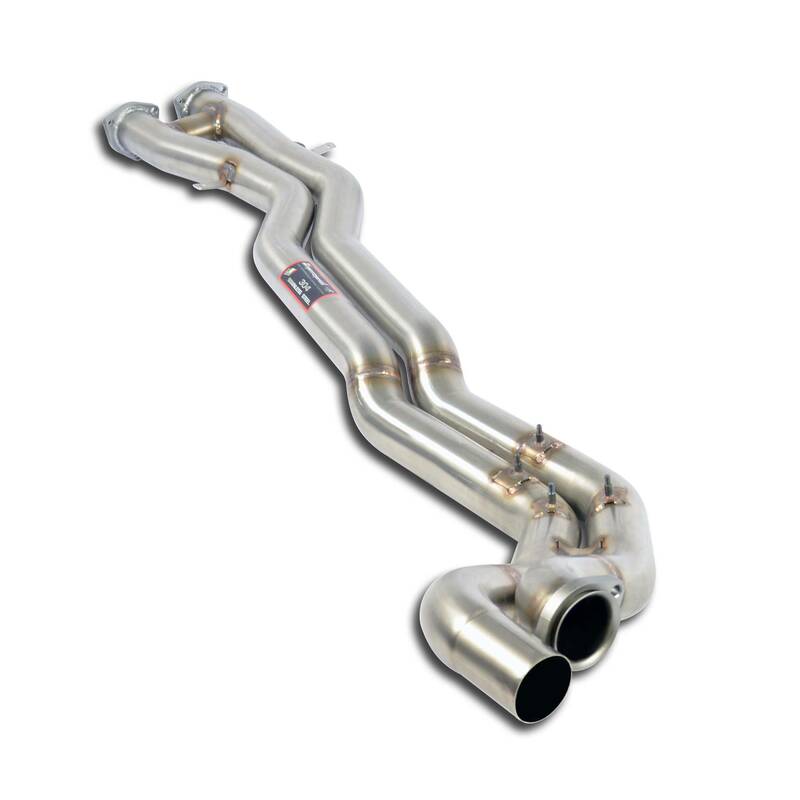 Most M3 owners may think that we have exploited virtually all of the performance exhaust design options for the S54 engine, with our multiple header versions, intermediate sections and rear mufflers. We always thought that there was no more room left for improvement to be made, by any given exhaust. On the N/A, stock engine, that is true, as our step race headers and race system have long proven to make the most peak power and the strongest midrange torque. 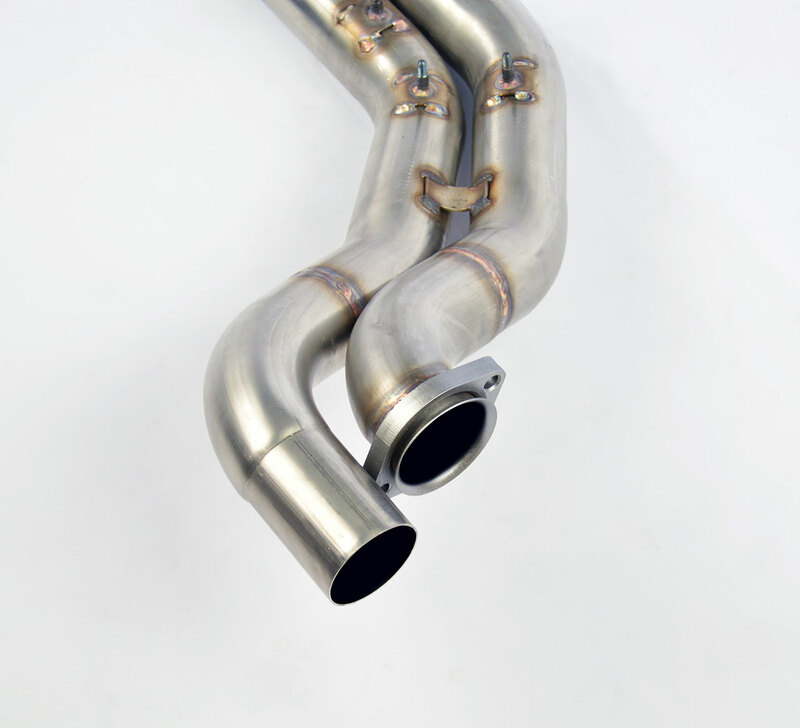 All of the Supersprint exhaust parts have been designed, developed between 2001 and 2005. 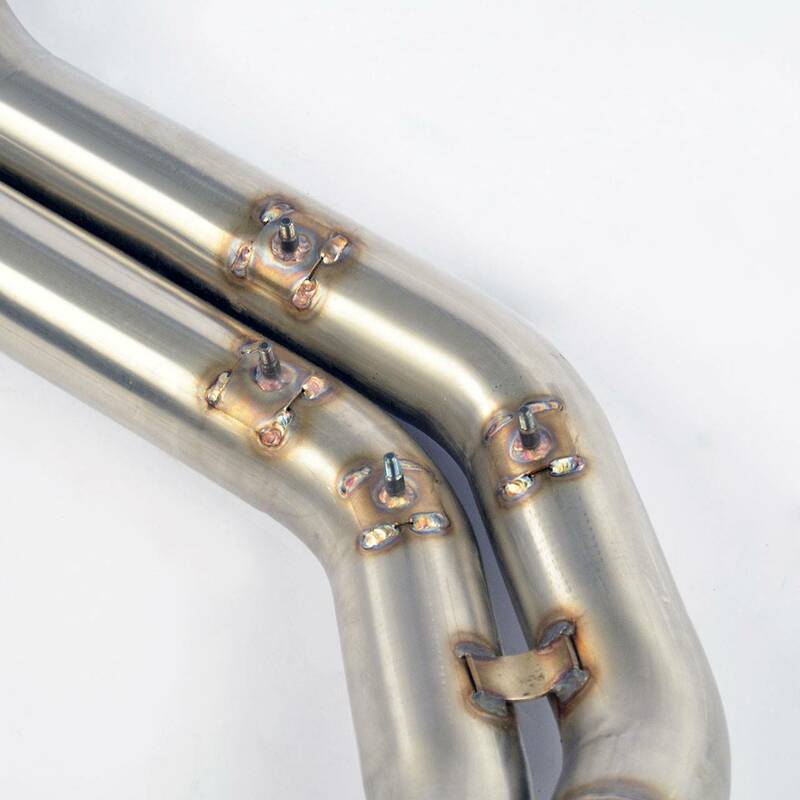 In 2007 we designed the latest step headers (also suitable for for RHD-spec cars), which accept the SS std. sect. 1, as well as the stock, sect. 1 . 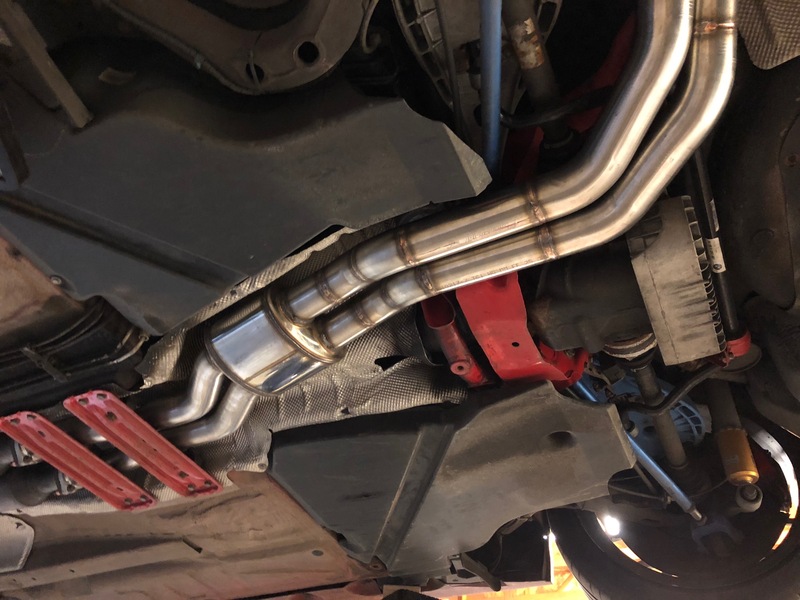 Since the performance results were excellent, we have been rewarded with a lot of success, and we have been manufacturing our exhausts, non-stop, to make the owners happy. Each and every of these original Supersprint designs never needed improvements, upgrades or other revisions, and we feel that they still do not need any. Yet there is one particular idea, some blueprints we left sitting in our R&D documentation bins since 2001, for a larger diameter-tubing system. Although we could have done, we never really pursued it, because we knew that most of the S54 engines had been used in stock form, only with relatively light performance modifications (airbox, fuel mapping). We learned it by testing many Euro M3 cars on our Maha dyno, measuring the exhaust gas backpressure under full load conditions, and found that our std. exhaust sect. 2 always provided for the ideal flow, as is. Larger diameter tubing would yeld no additional gains, anywhere in the powerband. Years later, it seems that an increasing number of M3s are being tweaked with more radical modifications, some of them with BMW Motorsport's own race parts. Since we have built a few exhausts for these 380-400 Hp (crank hp) Factory race cars in the past (including several Z4 M as well), we do know that these engines benefit from an exhaust section 2 made with larger size tubing. Now we have made the decision to offer our oversized sect. 2 exhaust, making it available to the public. The twin pipe design uses an tubing diameter is 63.5mm o.d. 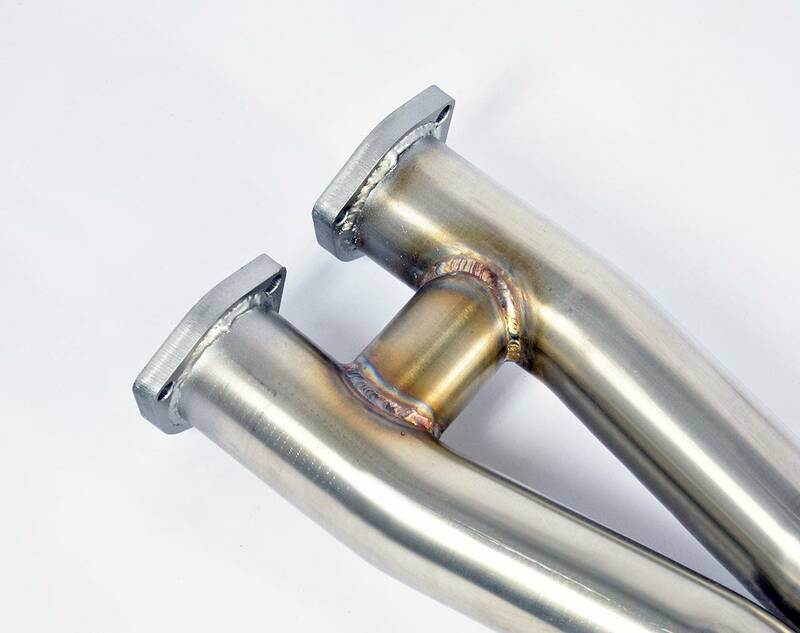 (57mm stock), with a small-area H-crossover pipe; the increase in the overall cross-section is + 25%, this measurement has been done vs. the the factory exhaust, on which the tubing has several crushed sections with an area compromised to less than 57mm even. The increase over the current std. Supersprint, single-pipe sect. 2 is slightly smaller, yet significant. The inlet flanges match both of the current SS race and the SS std section 1. The outlet flanges accept any of the SS rear mufflers, the Touring (Street), the Sport and the Race mufflers. In spite of the modular design, and the compatibility with all of the SS parts options, we recommend to use this new sect. 2 in conjunction with our race step headers and our race sect.1. And we repeat, this particular SS exhaust setup makes the best gains only when used on 380-400 + crank Hp engines. Sorry for the long post, in case anyone has questions, please let me know. 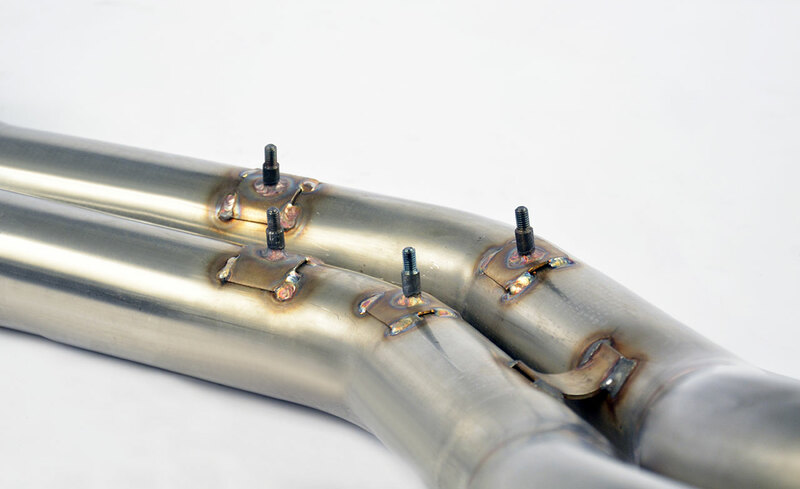 - For those that are using the Supersprint Stepped V1 header/Oversized Section 1 (catless or HJS Race catted) exhaust system. - This product is intended for those that are building high HP/TQ NA builds. - For the very best gains, in addition to the Stepped V1 header system, this product complements and is also intended for those that are using CSL Airbox setups and with larger aftermarket cams (however, as per Supersprint, neither cams or CSL airbox are required -- although both of those mods will further take advantage of the gains seen from these new pipes. 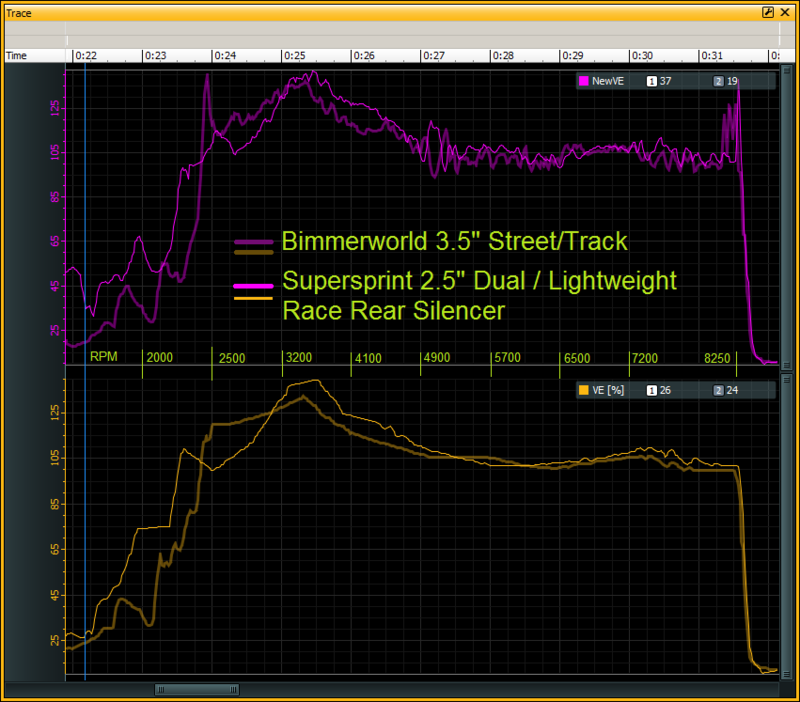 - Better HP and TRQ gains throughout the entire RPM-range when tuned properly (dyno results down below). - QUIETER. 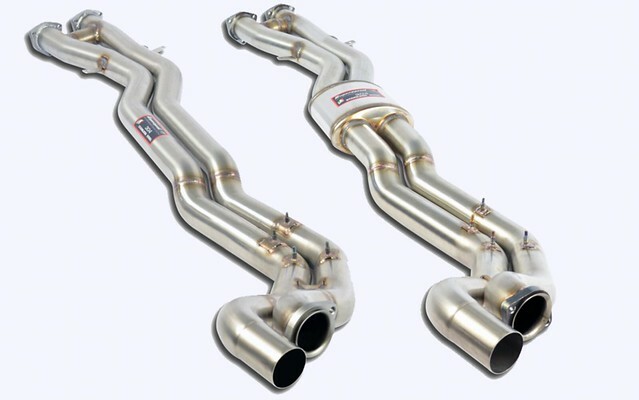 Unlike the very LOUD 3.5" single piped systems, this twin piped system is much quieter, with sound levels similar to that of Supersprint's standard sized X-pipe. This is a huge benefit for those that drive their cars on the street, to and from the track, that drive on tracks with noise restrictions, or that just want to preserve their hearing without headache-inducing in-cabin drone. - Lighter weight than the stock H-Pipe. - Supersprint quality that we have all come to know, expect, and appreciate. Will this new section 2 require a new muffler? No. 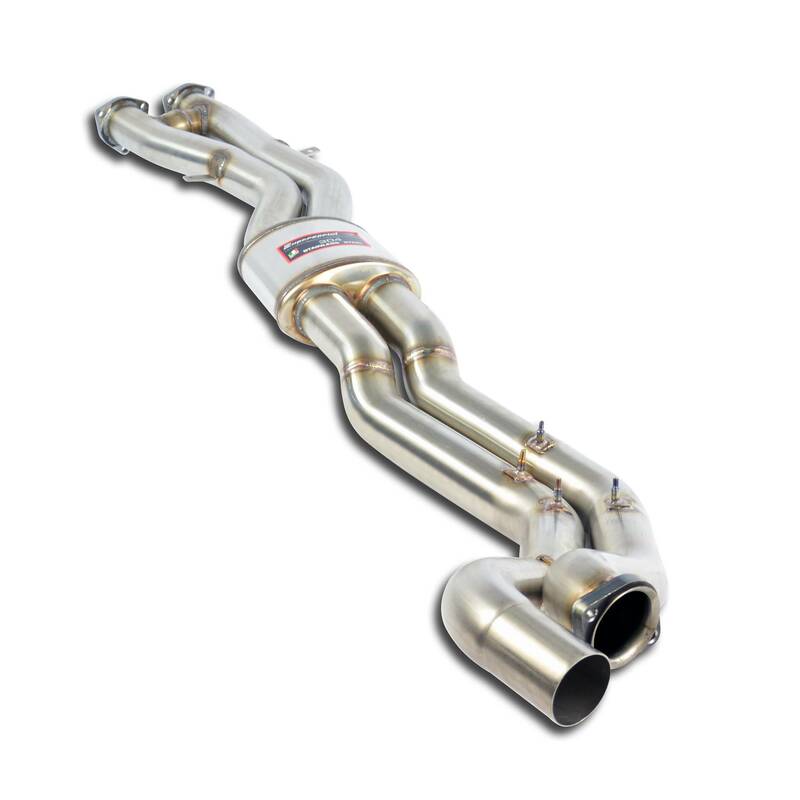 While it is recommended to run one of any of the 3 Supersprint mufflers due to their flow characteristics and this pipe being designed with them in mind, you can run any standard sized muffler with this new section 2, including the stock muffler. Will this new section 2 work with the stock section 1/Euro cats, or any other standard sized section 1? YES. As per Supersprint "The 044003 and 044013 use the same flange specs to accept the 044002/044012 front section, as well as any other SS, or even the stock, factory section 1. 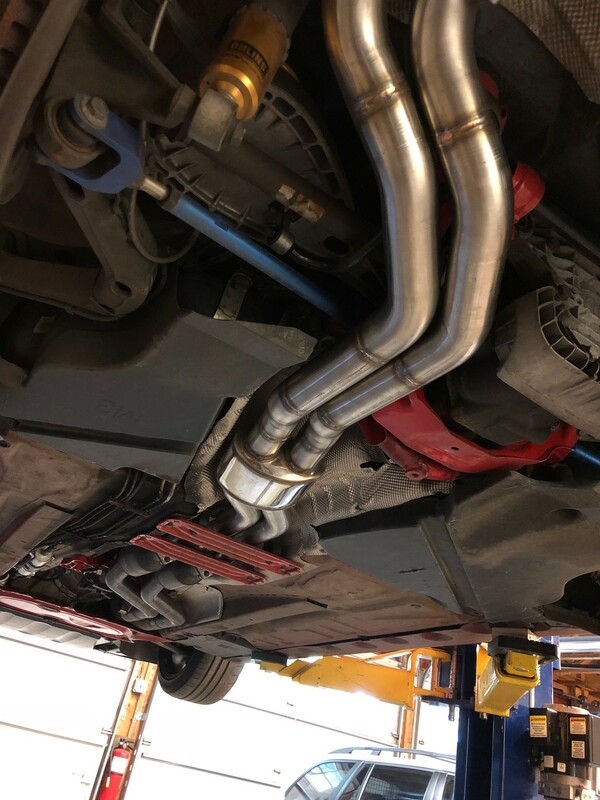 At the opposite end, the two-hole flanges and the flared pipes also are compliant to the stock or to any Supersprint muffler." If this section 2 fits a stock diameter muffler, wouldn't the gains from the oversized pipe diameter go un realized? Thus far, that hasn't been the case from the independent data we have received. Much to our surprise, we actually saw gains nearly everywhere, despite the flange connecting the section 2 to the muffler being sized to accept any standard sized muffler. For testing, i've paired the new Section 2 with a Supersprint Lightweight Race rear silencer - I think you guys stateside call this the 'race' version? Either way, install and fit was of the usual Supersprint high standard - zero issues with line-up or clearance and item is of the high quality as we've known to see from them. And here is the 3rd gear pull data of VE overlaid of both setups, using the same section of road for consistency. The duller lines are the previous BW setup just to be clear. Top graph (purple) is the NewVE value based on ecu calculation via virtual channel - the bottom graph (orange) is where i've set the VE map for the each setup - you can ignore the slight dip in the lower graph at mid-upper RPM on the SS setup, as it's actually lifted slightly there too, but I still need to adjust the map accordingly. As you can see, the new SS setup has lost out low down (2500-3200rpm), but otherwise i'd consider it an overall match/improvement - apologies for the lack of RPM axis (not sure this is possible via AEMdata). The main lift you see is between 3200-5000rpm, along with a small lift at the top end 6500+, before the 8250rpm rev limit I have set. My own expectations from the system are to reach the same power output as the BW 3.5", but at a far reduced volume. As we all know, the BW 3.5" system makes great power but is unbearably loud, and as such i've seen myself only driving the car to and from the track which is what it is primarily used for. The new SS setup in comparison is very quiet coming from the BW Street/track 3.5", which makes me actually want to use the car for road driving again. I fully agree that at this point it's looking like the better setup overall, hopefully the dyno shows the same. 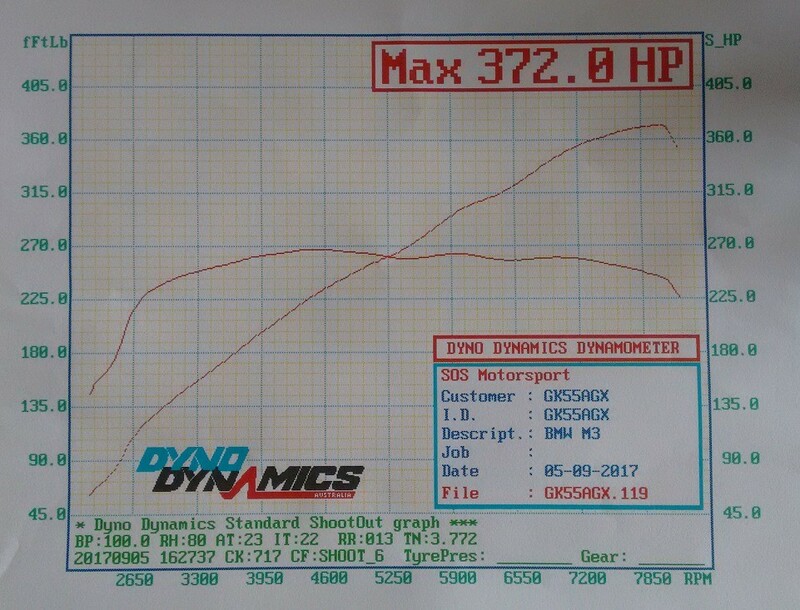 I'm suspecting that dip (if it shows on the dyno) can be dialed out via throttle angle and vanos, but we shall see. 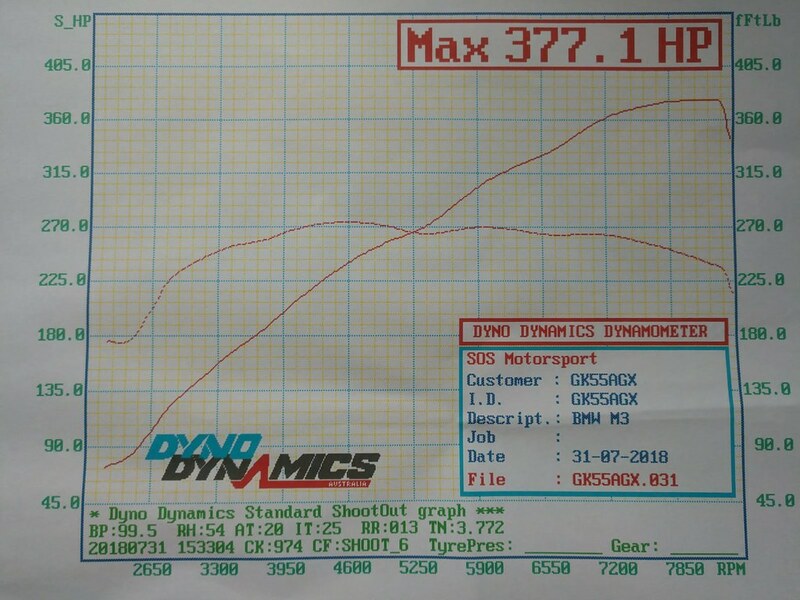 Paul-Claude's Dyno Results (Both setups are post tune and on a Dyno Dynamics dyno in the UK). Very impressive results. Especially considering the "After" results for the new Supersprint 2.5in dual section 2 are based on a standard sized (non-2.5in OD) muffler. Finally getting round to responding following the dyno tuning. Thanks for posting the graphs for comparison Leighton - in terms of the overlay, unfortunately the dyno had a recent system crash and we've lost all of the previous stored runs so we have to rely on saved images/printouts. However, on both runs, axis were setup exactly the same so the overlay by Leighton is perfectly accurate. I was quite surprised by the results myself, as didn't expect such a lift right through the curve. The mid range gain is clearly noticeable on the road. On track, the car performed flawlessly and is running very well. 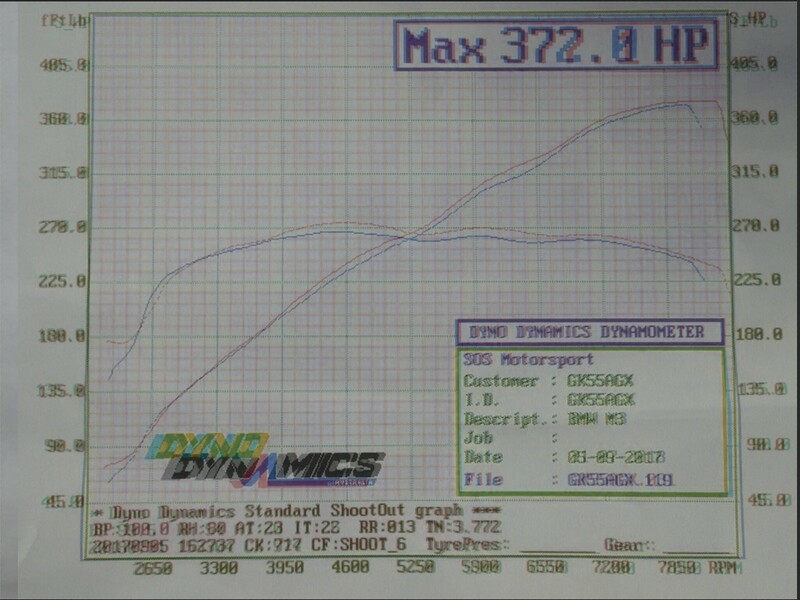 Tuning wise, most gain came from altered vanos targets as well as the fueling difference where the VE has lifted. In terms of noise, the setup I run with the 2.5" Resonated section 1 has next to no drone or rasp. The drive out to the track was a joy in comparison to the BW setup which gets tiring after a while. At part throttle cruising on the motorway around 3000rpm, it's very quiet. When you open it up, it has a nice deep/powerful note - perfect balance in my opinion. Thanks again to Leighton/Supersprint for making it possible for me to test and tune for this new product! It's definitely staying on my car for the foreseeable future. My next modification may be to look into modifying the SS V2 headers to increase the size of the outlet pipes/remove the choke down to section 1, as being a euro car RHD car the V1's just won't fit. Also, just to say - i'm not knocking the BW 3.5" product at all, as it's a very nicely manufactured and great fitting item that makes a super aggressive note, along with good power. I've received several positive comments at Nurburgring track days during Devils Diner flyby's @ 170mph! This Group-Buy is sponsored by ECS-Tuning/Turner Motorsport, which is where these will ship from. Why was ECS-Tuning/Turner Motorsport chosen to host this Group-Buy? - By working with ECS/Turner, Supersprint has guaranteed us the very best possible pricing on these 2 products. - Supersprint has also guaranteed us priority of order fulfillment over any other vender. - Supersprint has guaranteed the first 30 Resonated version and first 15 unresonated version and has gauranteed that all 45 of these will be ready to ship to ECS/Turner's warehous by November 1st. How long will it take to receive your items? As you know, this is a brand-new product. Supersprint does NOT have these stocked on shelves due to how new this product is. As such these WILL have a production time delay associated with these since this isn’t an overstocked item already made. I want to make this clear! That being said, we have first priority for the first 45 units (30 resonated and 15 unresonated) over any other vender! Supersprint has guaranteed that they can have our reserved first 30 Resonated and 15 unresonated section 2s shipped to ECS/Turner by First week of November. ECS/Turner have said they will have these ready to ship to your door-steps by November 23rd, at the very latest. How long will this Group-Buy be open for? I will close this Group-Buy on Monday, November 10, 2018. This date is tentative and could possibly change. This will be dependent on how much Group-Buy participation we receive and how many spots out of 45 are fulfilled or taken. Is there a limited quantity being offered here? That is how many we have reserved and prioritized as first from Supersprint's production facility in Italy. Once these spots are filled and paid for, they are gone! I will be reaching out to each of you that have already requested to to participate individually so that I can send payment links/instructions to each of you via email/PM (depending on how you reached out to me) based on the Group-Buy list. If you would like to be added to the list, please PM me, comment below, or email me (GroupBuyingPower@outlook.com). Spots will be filled on a first-pay, first served basis. *Keep in mind he has the VERY quiet Supersprint Street Muffler installed and his CSL Airbox over-shouts most of his exhaust. The muffler you have will greatly influence the sound produced. If you would like to be added to the list, please copy and paste the list above into a new comment, adding your name to the bottom, PM me, or send me an e-mail (GroupBuyingPower@outlook.com). Last edited by Dr M3an M3; Wed, Oct-31-2018 at 08:58:28 PM. Thanks for the feedback! If you missed it, that means many others will have missed it too. I copy and pasted it at the top as well so its easy to find! Do we know what retail would be? Would like to know what retail is, as well. How loud is non resonated? All times are GMT. The time now is 04:45:29 AM.